Why don’t you plan events on the back of the Kanmon Strait scenery? 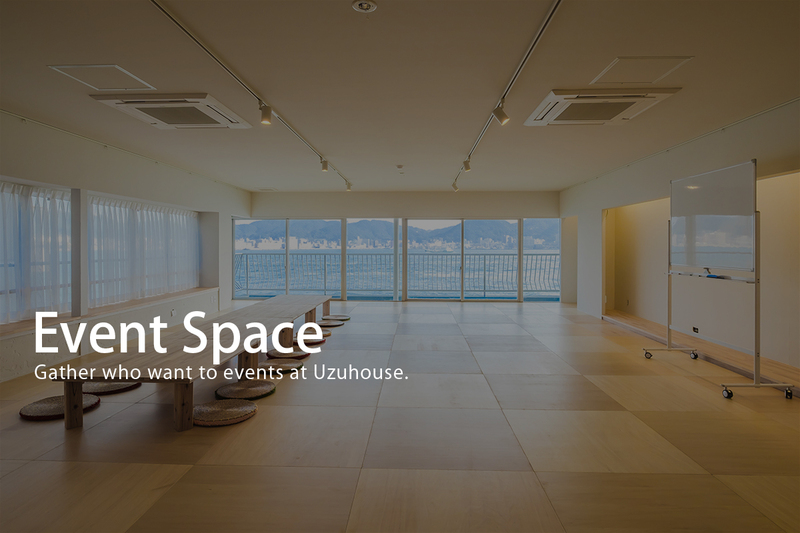 Event space is rented at Uzuhouse, so feel free to contact us. 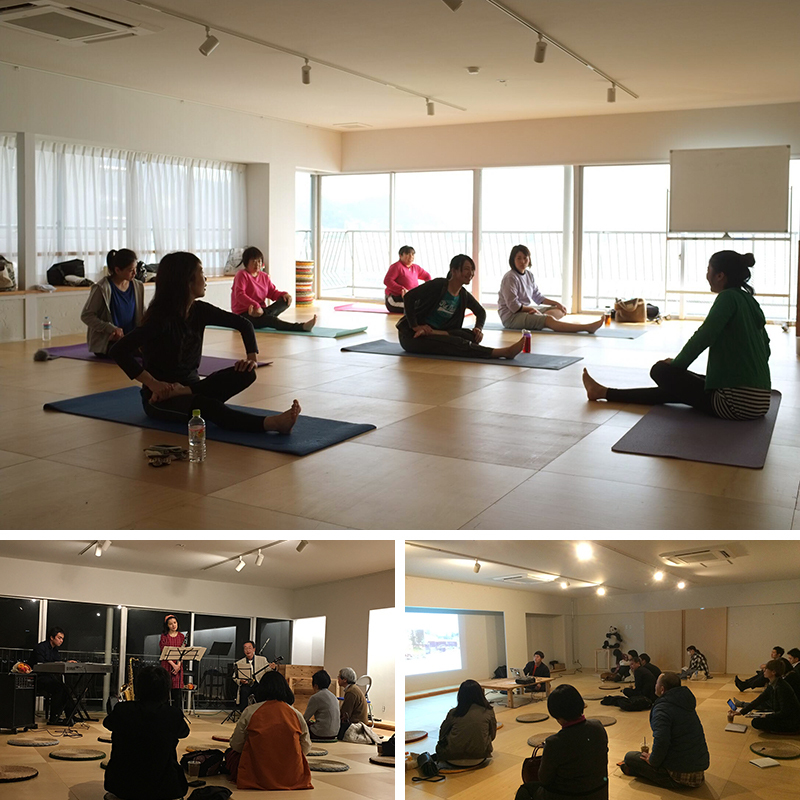 For your information, the events that have been held so far include yoga classes, JAZZ concerts, regional creation events, and so on. There are lodging spaces, so you can use various ways such as training camps and staying seminars.